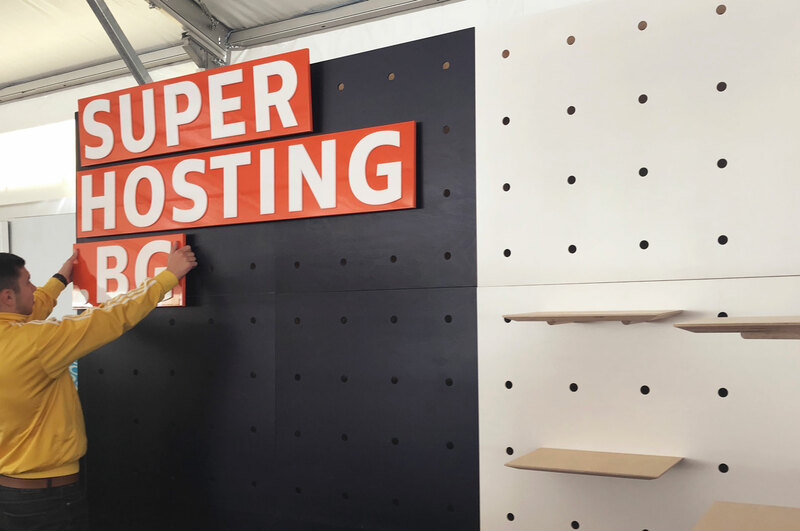 SuperHosting.BG is one of the leaders for hosting services in Bulgaria. As the most popular choice for hosting in the country, the company is attending multiple events of all sizes all year long. 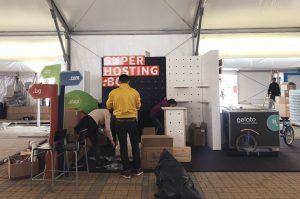 Therefore, they needed an easy-to-transport and construct stand that they can travel around the country. The identity of the company also had to be incorporated visually in the stand through branding and colors. Besides these, the stand also had to fit in a small minivan! All of these criteria directly corresponded with the benefits of WallStack. 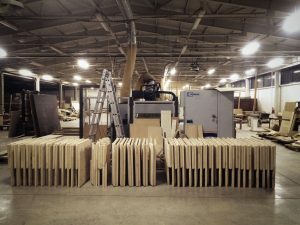 When folded, the panels are very compact and even the biggest panel is engineered to fit in the trunk of a mid-size car. The system is also very easy-to-construct as no tools are needed for set-up. You just need two people who unfold and stack the panels. And voilà! 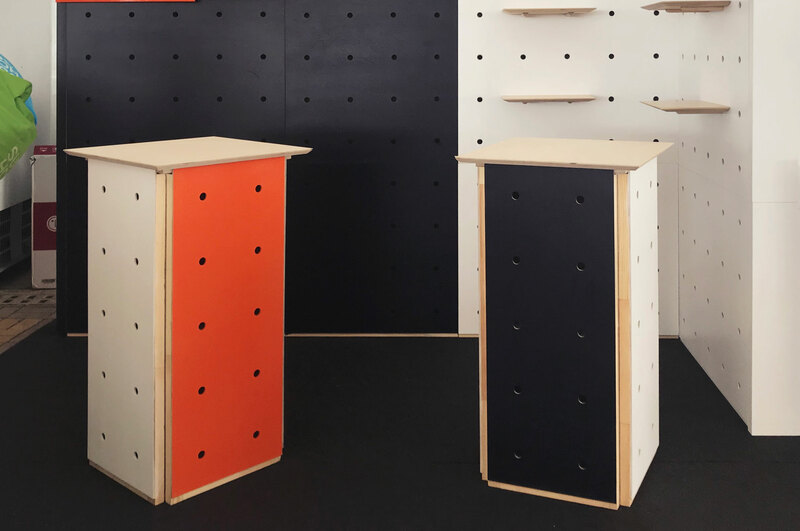 We made this pleasing to the eye and colorful stand, together with branding and foldable tables. 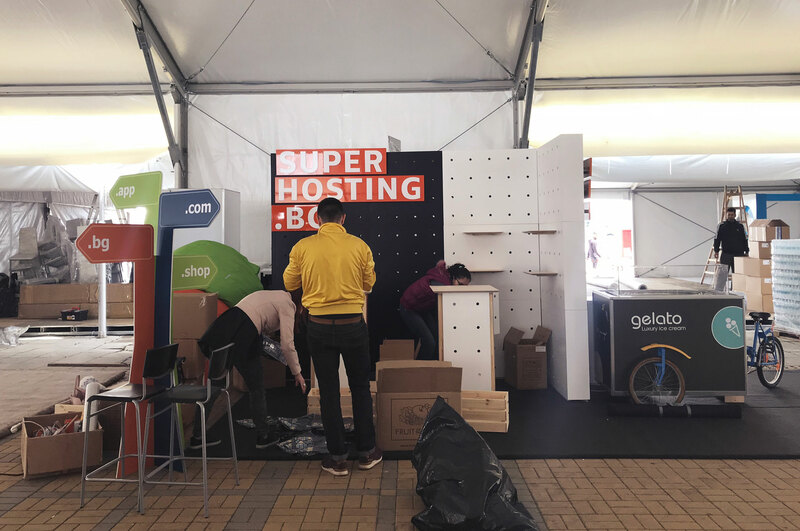 It was freshly made for their major event – Webit 2018.